The residents of Tete, Mozambique have become used to seeing Dai Changsha, a 23-year-old Chinese man who works in a Chinese wood import company there, holding up his phone to take videos of himself or inviting them to appear in these videos. At the same time, thousands of Chinese netizens have got to know Dai's neighbors through his videos, where they are either smiling at the phone, eating their lunch, singing and dancing, or playing with children. As more and more Chinese head to Africa to live and work, many of them have begun sharing their experiences and local cultures through popular Chinese video-sharing apps and livestream platforms. Entering the keyword "Africa" into the search engines of China's video-sharing apps or livestreaming platforms such as Douyin and Douyu will bring up thousands of videos on Africa and accounts of online hosts who claim to be in Africa. Their objectives vary. Some are seeking more viewers on these platforms to make a quick buck, while others want to get aid from China to help improve people's lives in Africa. But whatever the motivation, it has become a fact that more Chinese are learning about this continent through these platforms. Dai came to Mozambique in 2014 from China's Fujian Province. His first two years in the country left him with lots of down time, so in 2016, he began sharing his life on livestreaming sites after work or on weekends. Dai's account on Douyin, named "Little Fatty in Africa," now has more than 1 million followers. He makes videos on various subjects, including the local residents' lives, the living environment in Mozambique and his daily contact with the local people. "This week, I gave two bags of instant noodles my friend brought to me from China to my African buddy. They said that the noodles look like spaghetti and taste good, but were a little spicy for them," Dai told the Global Times. On the videos shared on Dai's account, the two local residents ate the instant noodles, smiled and gave a thumbs-up. "Africa is a mysterious place to many Chinese netizens. Maybe that's why they watch my videos," Dai said. 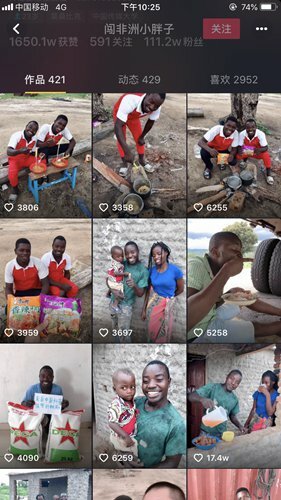 Satisfying Chinese netizens' curiosity about Africa not only makes Dai's life in Mozambique more interesting, but also makes him some extra income. He earned more than 20,000 yuan ($3,000) from 2016 to 2017 by sharing videos and livestreaming his life there. "I'm not as famous as some other Chinese online hosts in Africa and I only make videos on weekends. Those with several million followers who livestream their lives every day can make a handsome income," Dai said. A Zhen (pseudonym), who lives in Rwanda and has more than 70,000 followers on his Douyu account, told the Global Times that he livestreams his life in the country every afternoon. In January, he worked for a total of 310 hours on Douyu. Although he declined to tell his current salary, he said his income was better than when he used to work in China. Before going to Rwanda three years ago, A Zhen worked as a mattress salesman in Central China's Hubei and Hunan provinces. According to data from the National Bureau of Statistics, the average annual salary in Hubei in 2015 was 54,367 yuan. 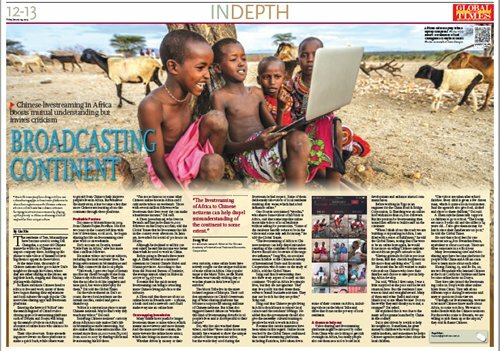 It seems that the quick money livestreaming can bring is attracting more Chinese living in Africa to the industry. A Zhen said that there are about 20 online hosts in Rwanda now - a phone, a bank card and a network card could make everyone an online host. Many online hosts push for longer livestream times or more videos, which means more viewers and more money. And the more novel the content, the more viewers the online hosts attract, which also brings in more income. Whether driven by money or their own curiosity, some online hosts have actively sought out the unique traditions of some tribes in Africa. One popular target is the Mursi Tribe, as the Mursi women wear visually striking clay or wooden plates in their lower lips or earlobes. The Mursi Tribe live in the most isolated regions of Ethiopia. Their sudden appearance on China's livestreaming or video-sharing platforms has become a surprise hit among millions of Chinese netizens. But it has also triggered heated debate on "whether this kind of livestreaming disturbs local people's lives and is disrespectful to their culture." Dai, who has also watched these videos, said that "these online hosts may initially have wanted to show the unique culture of these mysterious tribes, but the words they used during the livestream lacked respect. Some of them deliberately take videos of local residents drinking dirty water, which had a bad influence online." One Douyin user named "yiyeshu," who shares some videos of his visits to Africa, said that some impolite online hosts take videos of local residents without asking for permission. "Some of the residents harshly refuse to be in the videos and some may ask for money," he told the Global Times. 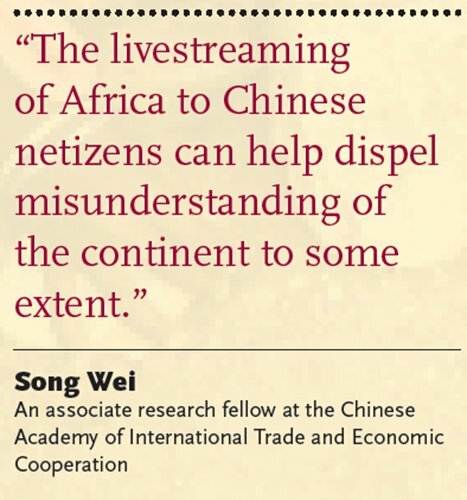 "The livestreaming of Africa to Chinese netizens can help dispel misunderstanding of the continent to some extent. But we should also be aware of the negative influence," Song Wei, an associate research fellow at the Chinese Academy of International Trade and Economic Cooperation who focuses on the study of Africa, told the Global Times. Song said that livestreaming does not show every aspect of society on this continent. "People in Africa live simple lives, but they are not ignorant. They may live poorly but they dress themselves to attend business activities. They may not be rich but they are polite," Song said. Song said that Chinese people living in Africa should learn to respect local culture and the residents' feelings. He added that the government should also give the necessary cultural training to people who wish to work in Africa. It seems that certain measures have been taken in this regard. 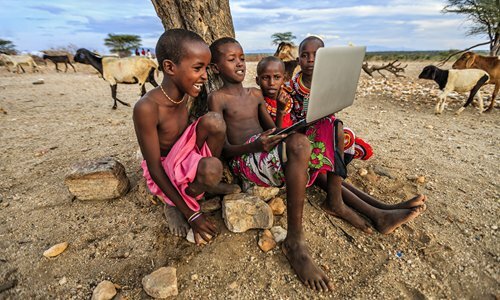 Online hosts reached by the Global Times confirmed that some livestreaming platforms, including Kuaishou, have taken down some of their content on Africa, including videos on the Mursi Tribe and those that focus on the poverty of local residents. Before working in Togo as an engineer for the China Road & Bridge Corporation, Li Shaofeng was an online host with more than 10,000 followers. But his passion for livestreaming then turned into efforts to build roads on the continent. "When I think about the roads we are building or expanding in Africa, I am filled with a sense of fulfillment," he told the Global Times, noting that if he were to be an online host again, he would focus more on telling Chinese netizens about African people's attitude to life. "Having gratitude for life is precious for them, and they cherish happiness in life more than anything else," Li said. He noted that he also wanted to make videos about Chinese who leave their families and choose to take part in helping Africa develop. Dai said, "When I first came, I was a little surprised at the poor and backward situation here. But the residents I met were so kind and straightforward. Many of them said nihao [hello] and xiexie [thank you] to me when we met. Do you know why they said thank you to me, a stranger?" Dai asked. He explained that it was due to the many aid programs launched by China in the country. Dai is also driven by a wish to help his neighbors. Sometimes, he gives money to children who work in vegetable markets, and sometimes he helps Chinese agencies make videos about the local children. "The videos are taken after school finishes. Every child is given a few dozen yuan, which is quite a lot in local money. And the agencies also give food, clothes and shoes to these children," Dai said. A Zhen says he financially supports 12 children to go to school. "The youngest one is 8 years old and the oldest is 14 years old… I also give them money for lunch since their families are too poor," he told the Global Times. He said that school fees for one semester are 14,800 Rwandan francs, equivalent to about 120 yuan. There are three semesters in a school year. Many livestreaming sites and video-sharing apps have become platforms for people from China and African countries to learn more about each other. Huang Ziming, 19, and Bo Bo, 20, are two Rwandans who learned Chinese at the local Confucius Institute and have become online hosts on Douyu. They have also joined the livestreaming craze on Douyu with other online hosts from China. They talk about different topics during livestreams and answer questions from viewers. "Through our livestreaming, we want to let more Chinese know more about Africa, to come to Africa. We want to make friends with the Chinese netizens. For those who come to Rwanda, we are willing to pick them up at the airport," they said in fluent Chinese.